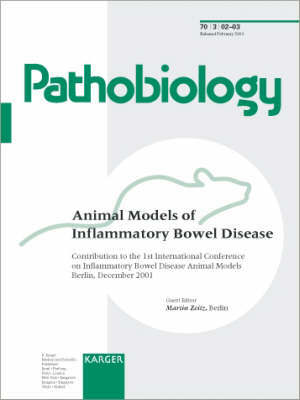 Animal models are important both for a better understanding of the pathogenesis of inflammatory bowel disease (IBD) and for the development of improved therapies. Combining the expertise of internationally renowned experts in immunology, microbiology, and gastroenterology, this special issue of Pathobiology provides comprehensive coverage of findings in the field. I n a first part, the role of commensal bacteria and IL-2 in murine models is investigated. Besides, data are presented indicating that neutrophils as well as gd T lymphocytes contribute to the protection of the epithelial intestinal surface. The second part is dedicated to the immunopathogenesis of IBD and considers closely the roles played by T cell subsets and dendritic cells. Furthermore, various aspects regarding new therapeutic strategies are described. Based on our latest understanding of IBD pathophysiology, therapies targeting key cytokines (i.e. IL-18, IL-6, and IL-12) as well as important adhesion receptors (i.e. CD44) are discussed.